Not until I recieved an email from Kathi @ panini happy (and a comment from the Daily Spud) did I know that April is National Grilled Cheese Month. How is that possible? How did the grilled cheese man not know that April is Grilled Cheese Month?! Readers, you have failed me by not cluing me into this fact. 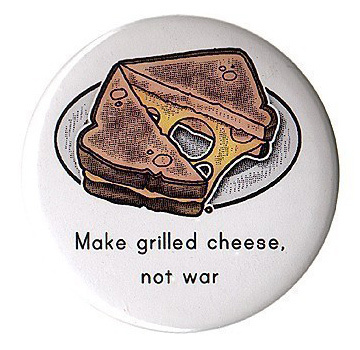 I have even disappointed myself since I am trying to blog about all things grilled cheese. Tsk. Tsk. Tsk. The worst part about finding out now? Passover is just one day away and there is no way that I can celebrate until next week. I mean, I can celebrate with matzoh, as I plan on doing Sunday, but it just won’t be the same. I guess I will just have to force myself to wait until the holiday is over. Oh well. If you have any suggestions on how to mark this special occasion, please leave your thoughts in the comments. Hopefully with all of our minds, we can come up with something great. 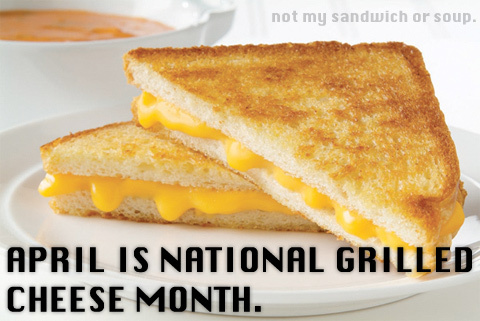 If you Google “National Grilled Cheese month 2009,” there are plenty of web sites mentioning the occasion. In total, Google tells me that there are 94,200. Once I hit publish, you can add one more. The first few sites, I can’t look through them all, are worth a quick glance. Plus, the first site below gave me the two images in this post. 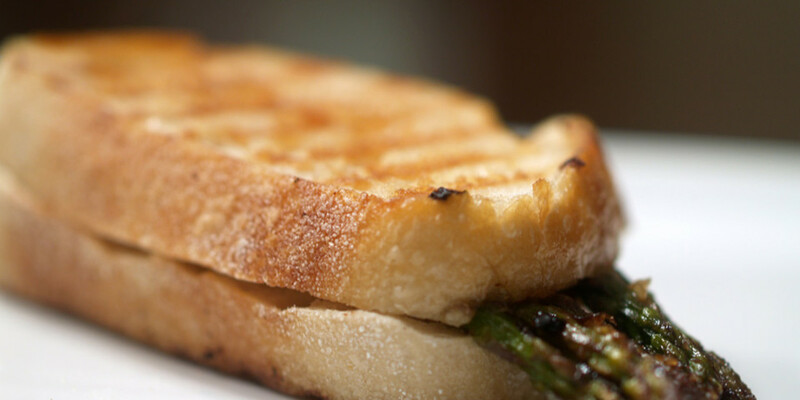 Let’s get gooey: April is Grilled Cheese Month! I hope to enter both of these contests, after I decide which of my previous sandwiches to enter. If you have suggestions as to which of my sandwiches I should enter, please leave a comment below. It would really make my job easier! I really should start eating more grilled cheese. Back when I was living the bachelor lifestyle I used to have grilled cheese quite a lot. I wonder.. Have you ever tried putting cinnamon on the grilled cheese? I swear its delicious. And no, I have not tried cinnamon on a grilled cheese. I am thinking that might be good for this Sunday’s sandwich, so we will see. If I don’t use it this week, I will definitely keep it in mind! How to celebrate? I suggest doing a series of grilled cheese w/ other items that start w/different letters of the alphabet. 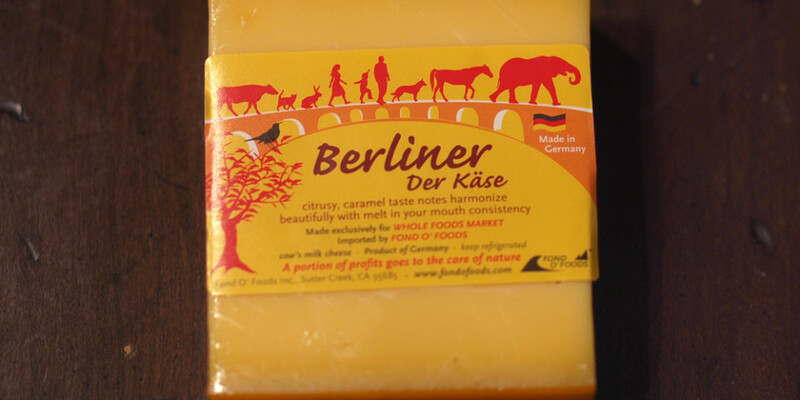 Start w/cheese and Anaheim peppers, or apples and then go to cheese w/ bacon, cheese with um, more cheese? until you get to Z! Time flies when you are having fun right, Jenni? Sounds like you were really dedicated with that new sandwich everyday! And here I thought a new sandwich every week was good.